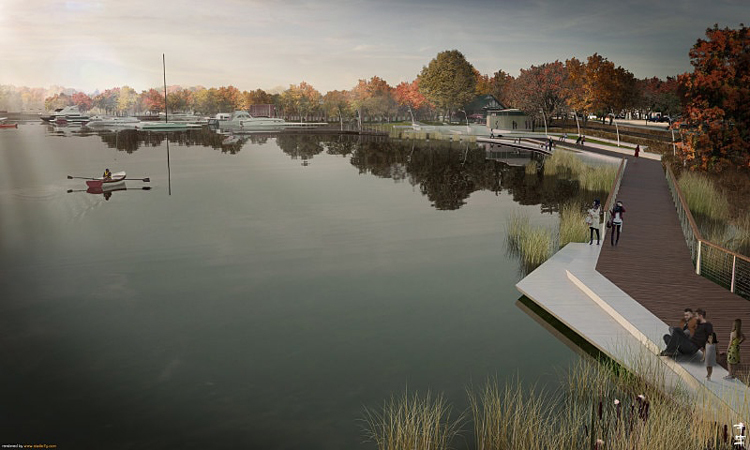 Civitas was selected in 2015 to design the “Lake Effect” project, a strategic initiative to enhance the City of Wayzata, Minn.’s character and connectivity to the urban waterfront, with construction on first-phase streetscape improvements and new plaza now slated to begin construction in 2019. Denver — Denver award-winning urban design and landscape architecture firm Civitas has received City Council approval to move forward with the design of implementation plans and construction documents for the Lake Effect Project to revitalize the Lake Minnetonka waterfront for the City of Wayzata, Minn. A strategic initiative to enhance Wayzata’s character and connectivity to Lake Minnetonka, the project is intended to create a more beautiful area for residents’ everyday use. Planned improvements along Lake Minnetonka’s northern edge will extend from the 1902 Section Foreman House to the historic Depot Park, allowing residents, for the first time in 100 years, to be able to walk the length of the downtown shoreline where a working railroad corridor has restricted access. At the same time, the project will restore and enhance overall lake-edge ecology. And a redesign of adjacent Lake Street, which fronts the downtown retail district, will add bike lanes and widen sidewalks to enhance the bicycle and pedestrian experience, with a lively, all-season plaza replacing the former municipal parking lot, offering built-in flexibility for large festivals, smaller summer markets and even winter activities like broomball or curling.